Coverage of various soccer leagues and tournaments. The English Premier League is starting to come to end, but how much drama will there be between the two presumptive title chasers of Leicester City and Tottenham? We will find out, but let’s take a closer look at their respective schedules. Leicester City has a five point lead with seven games to play while Arsenal sits 11 points off lead in third with an extra game in hand. For the purposes of this article, we will only focus on Leicester City and Tottenham. Below are the schedules for each team. Leicester and Tottenham have pretty similar schedules left as they share common opponents of Southampton, Manchester United, and Chelsea. They both have to face a relegation positioned team away from home with Leicester taking on Sunderland and Tottenham facing Newcastle. 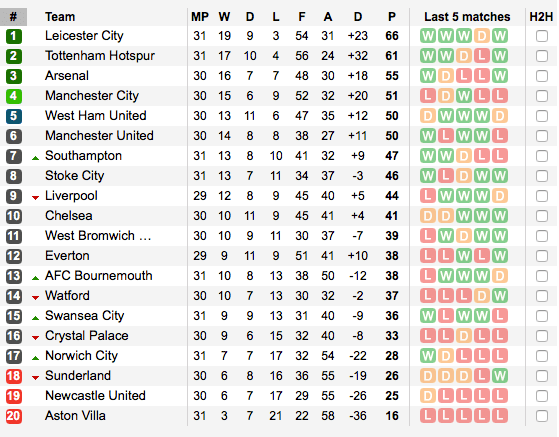 The average current position of the teams remaining for the Foxes is 11th while Tottenham is 10th. It is also worth mentioning that the Premier League will be the only focus as Leicester City did not qualify for Europe last season and Tottenham was knocked out of the Europa League in the Round of 16. 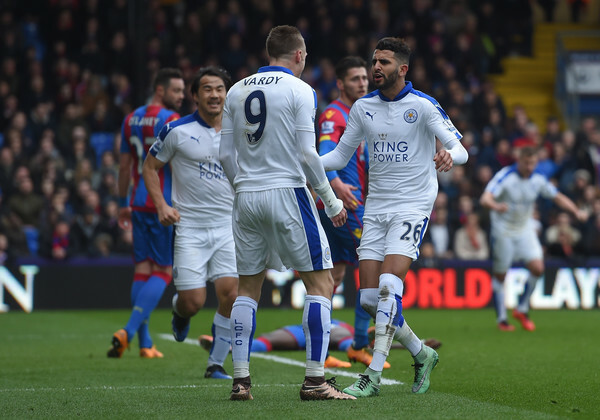 Neither team remains in the FA Cup with the Spurs defeating Leicester City in the Third Round and Crystal Palace knocking off Tottenham in the Fifth Round. Leicester City’s magic point total is 83 points as of right now, which assumes Tottenham wins their final seven games to reach 82 points and a finish on 82 points would be of no help to the Foxes as they have an inferior goal differential. Will Tottenham win all of their remaining seven games? It is hard to say, but probably not given the Premier League’s way of giving us twists and turns. (The same goes for Leicester City as well). All Leicester, or any team winning a league, has to do is win the games in front of them and not worry about what they cannot control (Tottenham’s results). If the Foxes take care of their business, they will be lifting the Premier League trophy and go down as one of the greatest stories in Football history. 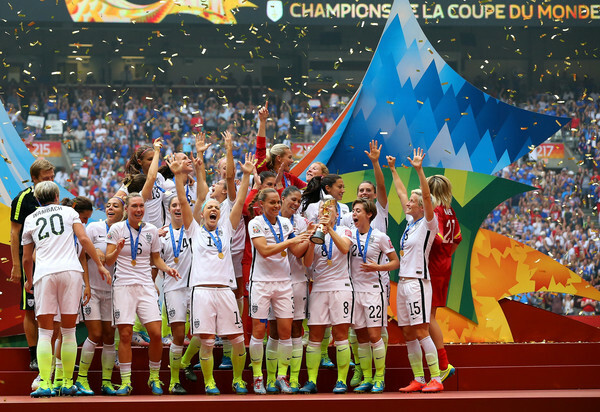 By most measures, the 2015 Women’s World Cup was an astounding success. Ratings were up for television and there was plenty of exciting action. Nearly every game in the knockout stage was competitive and had some kind of exciting finish whether it was a late goal or a close game throughout. Some teams crashed out earlier than expected (Canada) while others upset their way deep into the tournament (China and England). However, despite all the positives there were several instances where the Women’s World Cup failed to live up to expectations or was downright ridiculous. Those examples will be listed below. For the most part, many people were enthralled by the product on the field between whichever two teams were playing (except this guy). There was one on-field part of the game that really took away from the excellent contests and that was the refereeing, or lack thereof. Yours truly documented several cases of the referees not calling fouls, penalties given despite fouls occurring outside the box (USA vs Germany), and goal kicks given instead of corner kicks among many other issues. What is so striking about the referees is that these were determined to be the best in the world. (To be fair, there are plenty of gripes about the referees and officials in the NFL, NBA, NHL, MLB, MLS, Premier League, etc.). That is a scary thought, but the World Cup deserves better. Why not use men to referee during the World Cup? Yes, this is a Women’s tournament, but it does not mean that men could not handle the job if they are qualified. It can be a few sets of male referees and assistants while keeping the majority of referees on the field females as one idea for the future. Or FIFA can provide better training to the female referees and assistants. Given what we have learned in the past few months, that does not appear likely to be anywhere on the radar of FIFA. One of the biggest gripes this author has about the 2015 Women’s World Cup is the turf. This is not focused on how the turf plays, but rather the incessant complaining from Fox’s commentators about the turf. This is not surprising that Fox did not like the turf being used considering many star players, including USA star Abby Wambach, sued FIFA in September 2014 over the turf. The lawsuit was withdrawn this past January, but that did not stop Fox from endlessly complaining about the turf (noted here) It was so bad that at one point a Fox analyst said the turf melted shoes. It was known in 2011 that Canada would host the Women’s World Cup and the bid included artificial turf at nearly all of the venues. As this author documented in this article, this was a lack of foresight from the players to wait until September 2014 to file a lawsuit. To be fair, the talk regarding turf was not nearly noticed as much in the latter stages of the tournament as it was at the beginning. Still, the fact it came up nearly ever game in the group stage makes it hard to listen to the game at times. In the end, the turf did not matter as noticed in the final with the US crushing Japan 5-2. Whatever you want to call this tournament on the turf (an experiment? ), it is now over and ultimately had little effect on the outcome. This reason is purely personal, but accuracy is important from commentators and analysts alike. Despite Fox’s non-stop complaining about the turf (see above), there was another area that really hurt Fox’s coverage. That was the analysts and specifically the mistakes they made. There are a ton of examples that prove Fox needs to provide better analysts. One of the more egregious mistakes was that Rob Stone stated Canada never made the semifinals of the Women’s World Cup. That would make sense if 2003 never happened when Canada did make the semifinals. Another analyst made the comment that French midfielder Claire Lavogez was gassed against Germany in the quarterfinal match despite coming on in the 69th minute. It did not make any sense at the time given the context of the game to that point. One host referred to the extra 30 minutes of soccer as “overtime” instead of extra time. When trying to grow a sport like soccer the terminology is important. Imagine telling a person with no knowledge of College Football that two teams are going to sudden death extra time. (FYI, college football does not have any timed downs and each team is given a chance to score). Even the usually excellent JP Dellacamera had a lapse in the USA versus Germany game. When Celia Sasic was awarded a penalty in the 60th minute, Dellacamera said it was the decisive moment in the match despite another 30 minutes remaining. It was not decisive, as the US would go on to score twice to win the match 2-0. In the final between the USA and Japan, Dellacamera said the sun might have played a part in Hope Solo not seeing a shot. However, there was no direct sunlight on Solo in the latter part of the second half when the comment was made. Another announcing flub was the own goal by England’s Laura Bassett versus Japan. When she accidentally put the ball in her own net, the announcers were completely flabbergasted as to what happened and did not appear to know what even happened. It was not until the Japan players celebrated that they were able to fully comprehend what happened and even the graphics department did not put up Japan’s second goal until well after the ensuing kickoff. For people who are supposed to tell the audience what has happened, that was a massive mistake. Also in the USA versus Germany game, one of the commentators, Tony DiCicco said, “That Carli Lloyd was having a massive game“. However, DiCicco brought up accolades from the games against China and Colombia, which did not fit the argument of only the Germany game. Not a lot of time will be spent on this because, well, it is FIFA after all. This article by Tim Booth sums up what FIFA did wrong. This was not a big problem for the games in the knockout stages, but the group stages did not have all the games available depending on the television providers. For example, if a game was shown on Fox Sports 2 and you did not have that channel via your provider, you could not watch the game on a mobile device or tablet. This comes down to Fox and the providers, which undoubtedly makes both sides to blame. Only the group stage was affected, but imagine a major tournament in the future (Euro 2016 or the men’s World Cup in 2018) not showing all the games of the group stage. It should not be that way for any major tournament, men’s or women’s. The tournament was a huge success for the advancement of women’s soccer and its popularity. 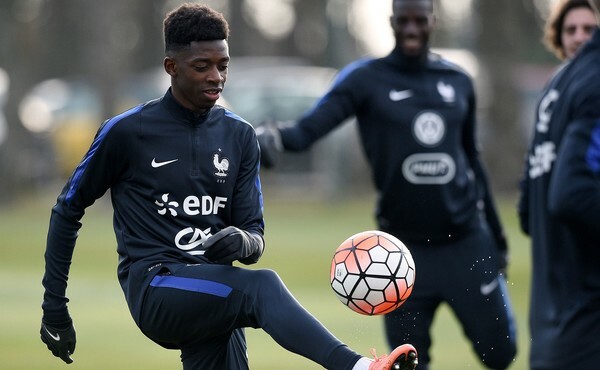 We will not have to worry about the 2019 tournament being played on turf, as it will be on grass in France (Yay! No more complaining about the turf). We will have to deal with Fox having the rights (No! ), but within four years the availability of the Fox Sports channels across most providers should be settled (hopefully). Seattle Sounder’s Clint Dempsey has been suspended three games for his obnoxious and reprehensible actions against Portland in Tuesday’s game in the U.S. Open Cup. Dempsey was also fined. Dempsey was facing up to three months suspension from all competitions had the United States Soccer Federation found him guilty of assault. 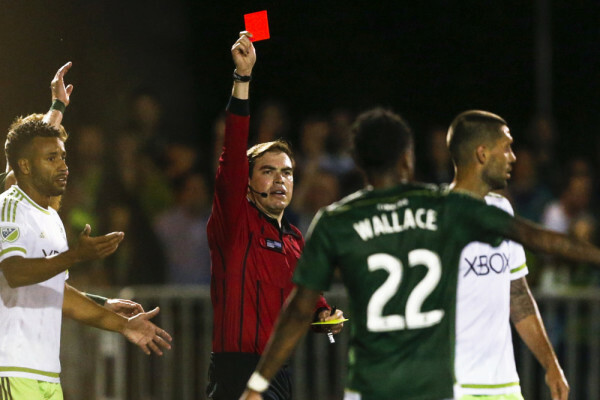 Instead, the USSF let the disciplinary actions fall to Major League Soccer on Friday. Below is a statement from MLS. Dempsey will now face only a ban in MLS games instead of missing time in the Gold Cup. This leads to only one conclusion: both the U.S. Soccer Federation and MLS do not get it. What is it? It is integrity. The USSF’s handling of the Hope Solo investigation (was it even a real investigation?) was the first yellow card. ESPN documented some of the rather serious inconsistencies by the USSF. Solo was ultimately suspended for 30 days earlier this year, missing only 2 international friendlies. The USSF had a chance to make a stand on a serious issue and given what happened with Ray Rice and the NFL, it seemed like a great opportunity to show their teeth. Fast forward to this past Tuesday when Dempsey decided he had enough of the referee and ripped up his booking card. There is ZERO defense for actions like that and he was properly sent off immediately. For the second time, U.S. Soccer had a chance to show their teeth. 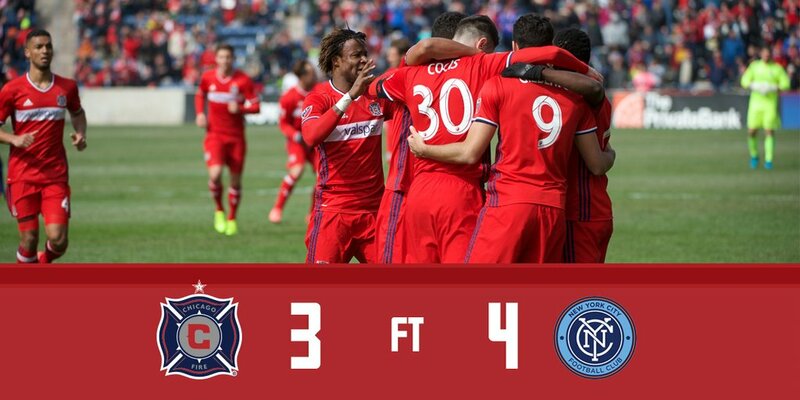 Instead, they kicked the can down the road to Major League Soccer and MLS showed they have as much teeth as U.S. Soccer. Another yellow card. For those counting that is a second yellow card, which results in a red card. It is clear that the stars are bigger than the sport of soccer. Both Solo and Dempsey are stars for club and country. More importantly, they are also role models to young people. What is the message being sent by USSF and MLS? Your transgressions, both on and off the field, are of little concern to us. As long as we can continue to bring in revenue, we will be more than willing to look past these “minor” infractions. Quite frankly, this kind of “discipline” is pathetic. In Solo’s case, it came on the heels of the Ray Rice incident in which the NFL and Roger Goodell botched his discipline. For Dempsey, there is not a recent comparable case, but the rules are pretty clear about touching the referee and his property. None of that matters because stars are given their own set of rules. Shame on Major League Soccer for letting Dempsey off with a putrid 3 game ban. Soccer still has not learned from the failures of the NFL, MLB, NBA, and NHL, which will only impede its progress to become one of the top 4. As the calendar nears March, there are plenty of viewing options for American sports fanatics. March Madness will get underway on March 19 along with baseball spring training and the final push of the NBA and NHL regular seasons. If you are like this author, you were consumed by college football and professional football from September through early February. Unfortunately, football season is over in the American sense, but there are still football options. To be clear, we are talking soccer. Major League Soccer will also begin on March 6 in the United States, but we are going to focus on something the MLS will not give us: promotion and relegation battles. This is not the place to debate whether there is a place for promotion and relegation in the United States, but instead on what is happening over in Europe. There will be a focus on the contenders, European playoff spots, as well as the relegation battle in each country. The countries looked at will be England, Spain, Germany, France, Netherlands, and Portugal. Two other leagues, while not in the top 10 of the UEFA Coefficients, but entertaining to this author will be Denmark and Switzerland. * * * Note: All of the information below is as of Monday, February 23. Contenders: The Premier League appears to be coming down to a battle between Chelsea and Manchester City. Chelsea sits on 60 points while Manchester City is at 55 points. Both teams have 12 games left to play to decide the winner. European Prospects: Behind the top duo is a logjam of 5 teams within 4 points of each other. Arsenal (48 points), Manchester United (47), Southampton (46), Liverpool (45), and Tottenham (44) are gunning to be in one of the two final Champions League slots. Southampton has been a great story and it would be awesome to see a new team finish in the top four. Relegation: Leicester City sits bottom of the table with 18 points, Aston Villa is 19th with 22 points, and Burnley is 18th with 22 points as well. Queens Park Rangers (22 points), Sunderland (25), Hull City (26), West Bromwich Albion (27), Crystal Palace (27), and Everton (28) could all fall into the relegation zone with a bad run of form. Predictions: Chelsea, Manchester City, and Arsenal will be the top three. The fourth team will be Manchester United while Southampton manage to finish fifth and get a Europa League spot. In the relegation zone, Leicester City, Burnley, and QPR will drop to the Championship. Speaking of the Championship, the three teams promoted at the end of the season will be Derby County, Ipswich Town, and Norwich City. Millwall, Wigan Athletic, and Blackpool will be relegated to League One. Contenders: Real Madrid lead La Liga with 60 points, Barcelona is second with 56 points, Atletico Madrid is third with 53 points, and Valencia sit fourth on 50 points. This race will come down to the top two and that favors Real Madrid to come away with another Spanish title. European Prospects: Atletico Madrid are third currently and that does not figure to change by the end of the season. Valencia’s 50 points make them 5 clear of fifth place Sevilla and 6 clear of Villarreal. Malaga are seventh with 38 points, but will need one of the two teams ahead of them to slip up to make the Europa League for next season. Relegation: It is a tight race for the bottom, but three teams have dug themselves in a small hole. Levante is 18th with 22 points, Granada is 19th with 19 points, and Cordoba is 20th with 18 points. Almeria and Elche are both one point clear of the relegation zone while 15th place Deportivo La Coruna has 24 points. Predictions: The top four will remain the same as they currently are: Real Madrid, Barcelona, Atletico Madrid, and Valencia. Villarreal will finish fifth with Sevilla in sixth and Malaga in seventh. The relegation battle will be tight, but the three teams going down will be Elche, Granada, and Cordoba. The three teams coming up from the Segunda Division will be Sporting de Gijon, Las Palmas, and Valladolid. Contenders: Bayern Munich is in complete control of the Bundesliga at 55 points, 8 more than Wolfsburg in second. Bayern has scored 59 goals while only giving up 9 thus far in the Bundesliga. European Prospects: The top two are firmly secure for Champions League action next season, but the other spots are still up for grabs. Borussia Monchengladbach is third with 37 points, Schalke is fourth with 35 points, FC Augsburg is fifth with 35 points, and Bayer Leverkusen is sixth with 33 points. Hoffenheim and Werder Bremen sit with 30 points while Eintracht Frankfurt is 9th with 28 points. The battle for European football in Germany will be hotly contested and entertaining. Relegation: Stuttgart is last in the Bundesliga with 18 points, Hertha is 17th with 21 points, and Freiburg is 16th with 22 points. There is not much room for the six teams in front of the relegation zone as that extends only to 26 points. Predictions: Bayern Munich will win the Bundesliga again, but it is a matter of which match day they will do so on while Wolfsburg is locked into second at worst. Schalke will grab third and Borussia Monchengladbach will finish in fourth. Bayer Leverkusen will finish fifth with Werder Bremen securing a wild sixth place finish. The relegation battle will see Hertha, Paderborn, and Hamburger fall to the next division (assuming Hamburger loses in the Relegation Playoffs). 2. Bundesliga will automatically promote Ingolstadt and Kaiserslautern to the Bundesliga while Karlsruher will beat Hamburger in the Promotion playoffs. Contenders: Juventus have lost only once in Serie A this year and have 57 points compared to 48 for Roma. It is Juve’s title to lose at this point. European Prospects: While the top two look good, there is a battle for the third Italian Champions League slot. Napoli sits on 45 points, Lazio has 40 points, and Fiorentina has 39 points. Unless Internazionale, Genoa, and/or Sampdoria make an improbable run into third place (all on 35 points), one of the first three teams will be in the Champions League next year. Relegation: One relegation spot is all but assured for Parma given their financial difficulties. There is even a chance Parma will not finish the season. Cesena is currently 19th with 16 points while Cagliari is 18th with 20 points. Sitting in 17th is Atalanta with 23 points, Chievo is 16th with 24 points, and Verona is 15th with 25 points. Predictions: Juventus and Roma will finish one-two as expected. Third place will go to Napoli, Lazio will finish fourth, and Sampdoria grab fifth spot (and a Europa League place). The relegation battle will be lost by Parma, Cesena, and Atalanta. Coming up from Serie B at the end of the season will be Carpi, Bologna, and Vicenza. Contenders: Lyon leads a tight race at the top with 54 points. PSG is second with 52 points and Marseille is third 50 points. The eventual winner of Ligue 1 will come from this trio of teams. European Prospects: Outside the top three, four teams will be in contention for the single remaining Europa League spot. Monaco is fourth with 43 points, Saint-Etienne is fifth with 42 points, Bordeaux is sixth with 41 points, and Montpellier is seventh with 39 points. It will surely be a tight finish for the Europa League slot. Relegation: As of this writing, Lens will be relegated at the end of the season regardless of where they finish due to irregularities when they were promoted from Ligue 2 at the end of the 2013-14 season. They currently sit 19th with 22 points. In 20th is Metz with 22 points and Evian is 18th with 26 points. Just above the drop zone are Lorient and Toulouse both with 28 points. The two teams above them are Caen and Reims on 31 points. Predictions: In an exciting finish to the Ligue 1 season, Lyon will hang on for the title over PSG with Marseille back in third. Taking fourth place will be Saint-Etienne with Bordeaux fifth and Monaco sixth. The relegation teams will be unchanged from the current bottom three meaning Evian, Lens, and Metz will spend next season in Ligue 2. Coming up from Ligue 2 will be Troyes, Brest, and Angers. Contenders: PSV currently holds a 14 point lead (64-50) over Ajax and are well on their way to reclaiming the Eredivisie title. European Prospects: Feyenoord is third with 44 points, but right on their heels is AZ Alkmaar with 44 points as well. Zwolle is fifth with 39 points, Heerenveen is sixth with 38 points, Vitesse is seventh with 37 points, and Twente is eighth with 34 points. Relegation: Dordrecht will need a miracle to stay in the Dutch top flight with only 12 points from 24 games. NAC Breda is 17th with 18 points and Heracles is 16th with 21 points. Just above the relegation zone sits Go Ahead Eagles with 23 points. Excelsior have a bit of breathing room with 26 points, but could afford to turn some of their draws into wins (Excelsior has a league high 11 draws). Predictions: PSV cruises to the Eredivisie title with Ajax in second place. AZ manages to overtake Feyenoord for third place with Heerenveen in fifth, Zwolle in sixth, and Twente in seventh. The one team automatically relegated to the Ereste Divisie will be Dordrecht with N.E.C. replacing them. NAC Breda and Go Ahead Eagles will be put into the relegation playoffs at season’s end. Contenders: The usual suspects are involved for the league crown once again. Benfica is at 56 points, Porto is at 52 points, and Sporting CP have 47 points. Barring a major collapse by Benfica and the other top two teams, one of these three will win. European Prospects: Braga (43 points), Vitória de Guimaraes (37), and Belenenses (34) are in the best positions to take the two Europa League spots. Pacos de Ferreira (30), Rio Ave (29), Nacional (28), and Maritimo (27) would need to go on massive win streaks to have a chance to steal one of the Europa League places. Relegation: There are only two relegation spots in the Portuguese Primeira Liga. Penafiel is last with 16 points while Gil Vicente is 17th with 17 points. The teams above the relegation zone should feel pretty warm given how close they are in points to the bottom two. Academica (18), Vitória de Setubal (19), Arouca (19), and Boavista (21) could easily find themselves in the bottom two by season’s end. Predictions: Benfica will win the title while Porto holds off Sporting CP for the second place spot. Even with a third place finish, Sporting CP will still be in the Champions League next season. Braga finishes fourth with Vitoria de Guimaraes finishing fifth and Belenenses in sixth. The relegation battle will see both teams currently in the drop zone escape to be replaced by Vitoria de Setubal and Arouca. Chaves and Tondela will be promoted from the Segunda Liga. Contenders: Basel currently holds a 5 point lead (45-40) over Young Boys with 21 match days played out of 36. On February 22, Young Boys beat Basel 4-2 and they have one final game against each other the rest of the season. Zurich is third with 39 points and are not out of the running for the league title yet. European Prospects: The top two teams will be going into the Champions League next season with the third and fourth place teams going into the Europa League. Thun is fourth with 34 points and St. Gallen is fifth with 30 points. It will come down to these five teams to determine the four European entrants for the 2015-16 season. Relegation: The relegation battle is very tight with only one team going down to the Swiss Challenge League next season. Sion is last with 16 points, but have played 19 games compared to the three teams ahead of them. In 9th is Aarua with 17 points, Luzern is 8th with 18 points, and Grasshopper is 7th with 19 points. Even Liechtenstein based Vaduz is not out of the woods in 6th place with 22 points. Predictions: Basel will win the Swiss Super League while Young Boys manages to hold on for second over Zurich. Thun will take fourth place as St. Gallen’s late season rally falls short of European football. Sion will escape the basement at the expense of Aarau who will spend next season in the Challenge League. Lugano, who is currently third in the Swiss Challenge League by three points, will replace them in 2015-16. Contenders: Through 18 of 33 match days, Midtjylland is first with 43 points over Copenhagen (35) and Randers (34). Given the fourth place team, Brondby, has only 27 points, it is safe to assume one of the top three teams will emerge with the title. European Prospects: As mentioned above, Brondby is in fourth place with 27 points while the Superliga offers only three European spots. AaB (25), Nordsjaelland (25), Esbjerg (23), and SonderjyskE (23) need things to start going their way if they are to play in the Europa League. Relegation: Two teams will be relegated at the end of the season and one of them is virtually assured to be Silkeborg. They have four points at this point in the season thanks to four draws. They also have the worst offense in the Superliga and are 15 points adrift of safety. In 11th place is Vestsjaelland with 15 points and are 4 points behind 10th place Odense. Hobro has 21 points while SonderjyskE has 23 points along with Esbjerg. It will come down to the trio of Hobro, Odense, and Vestsjaelland for the final relegation spot. Predictions: Copenhagen will mount their usual late season rally to contend for the title, but Midtjylland will survive as the Champions. Copenhagen will be second with Randers third. A close relegation battle will see Vestsjaelland drop down to the Danish First Division with Silkeborg for the 2015-16 season. Coming up from the First Division will be Lyngby and Viborg. Please feel free to comment on what you think of the predictions above. Enjoy the football action from Europe as the season turns into the home stretch!